A group of people leaves for a walk. One person takes the lead and decides in which direction the group should walk. During the walk the participants gradually distance themselves from each other as far as possible, but without losing the sight of at least one of the others. At a pre-agreed point in time, everybody records his or her exact geographic location. From that point the distance between the participants should be reduced slowly until the group is back in its original position at the starting point. 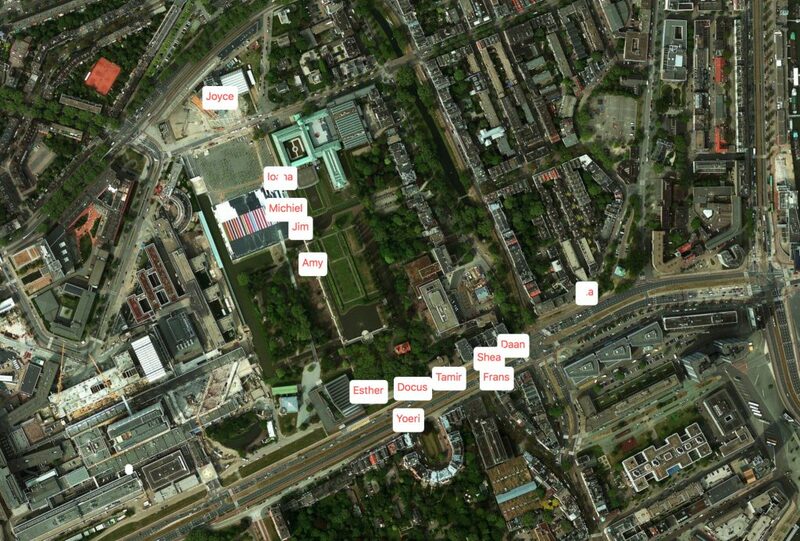 The recorded locations will be collected and marked on a collective map. This entry was posted in Performances on 11/03/2017 by Frans.